We are one of a few law firms in Poland with a dedicated team of advocates specializing in litigation against international financial institutions and brokers offering speculative, “toxic” transactions in unregulated OTC markets, especially forex markets. Among some infamous economic scandals of recent years such as “Amber Gold”, “SKOK”, “insurance-deposits” and others, in which Polish people already dumped billions of Zlotys, a problem of increasing number of forex scams has been passed over in silence by the Polish mainstream media. 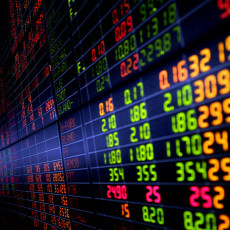 Every day some unaware forex traders, tempted by the prospect of high and quick gains, fall victim of embezzlements and other prohibited market practices: financial scams, Ponzi schemes, insider trading, conspiracies and price manipulations, fraudulent orders settlements (slippage, stop hunt, black out) – these are the most common “tricks” used in the Forex market to extort monies form retail forex traders. Until now, as professional legal aid has not been available to Polish non-institutional traders, they have been virtually unable to retrieve monies extorted while trading financial instruments, which have usually remained in the hands of scam forex brokers and their middlemen. This situation is now changing – as a result of deep engagement and efforts done by our cutting edge team of specialists, many traders have already retrieved monies lost while trading with scam forex brokers. What gives us an indisputable edge is above all, the fact that we are not in any way connected or affiliated with financial institutions, banks or brokerage houses – there is no conflict of interest so common with many law firms; acting on behalf of traders we are determined to undertake all possible legal actions in order to obtain full financial compensation for damages incurred by our clients. We are now representing a number of litigants in court disputes, inter alia, relating to faulty orders execution in unregulated forex OTC markets and misinformation provided to traders that inflicted high financial damages to the benefit of forex brokers.